Friday-Saturday, May 18-19, 9am-3pm, Spring Tag Sale at the Southampton Senior Center. May 19, Just Roots Spring Festival. Food, plant sale, live music at the Just Roots farm in Greenfield. June 3, Girls on the Run 5K, Springfield College. Numerous volunteers are needed to help with registration, operations, hospitality, and course set up and breakdown. Register to volunteer here: https://www.girlsontherunwesternma.org/5K-Detail#show-volunteer and let them know you’re from RSVP! Help GOTR celebrate building girls’ health and confidence, and visit RSVP’s table while you’re there. June 14, 6pm: United Way of Franklin County 80th Anniversary Gala held at Deerfield Academy. Come in your best Gatsby Attire. Tickets available at the United Way of FC. June 23, 10am-3pm: Annual Franklin County Pride March and Festival . 10am 5K starting at the Greenfield Town Common, 12pm Parade starting at the Middle School, 1pm Festival at Greenfield Energy Park. RSVP will have a table there so stop by. August 13: South Hadley Senior Center’s Annual Picnic. Volunteers needed for set up at 9am, serving at 12 noon, and cleanup. Volunteers can also enjoy Jimmy Mazza’s music. Help South Hadley’s hard-working volunteers celebrate and relax! Spanning Easthampton and Northampton, Arcadia’s 724 acres of diverse terrain (forest, meadows, grasslands, marsh, and wetlands) attracts an extraordinary variety of birds and other wildlife. The visitor center is located at 127 Combs Road, Easthampton, and is the starting point for four miles of trails. 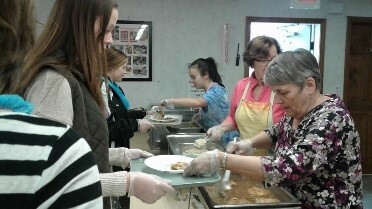 Arcadia offers a variety of exciting volunteer opportunities for people of all interests and experience levels. You can help lead nature-based educational programs, staff the art house, greet visitors, or help manage the property. Whether you have a lifetime interest in nature or are just getting started, Arcadia has a place for you. Located on Route 2 a few miles from Greenfield, the ESC offers social and wellness programs for seniors. The twice weekly congregate meal site, a Meals-on Wheels program, and a Tuesday Homemade Lunch, plus the monthly Brown Bag program, ensure senior nutrition. Wellness programs include RSVP’s Healthy Bones and Balance program, chair yoga and aerobics exercise, a monthly foot clinic and blood pressure clinic. Addressing mobility in a rural area, the Center provides van transportation for medical appointments, delivery to & from the senior center, shopping and other errands. Outreach services are abundant, readily available, and include SNAP and SHINE counselling, TRIAD services and Small Home Repair and Safety Installations. 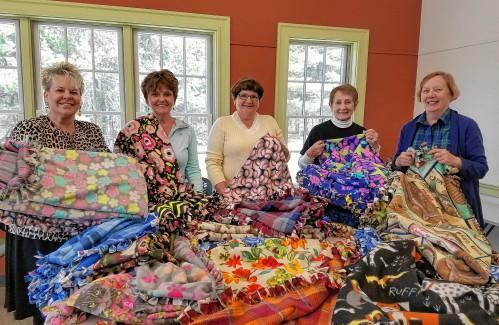 An active Friends Group supports programming and the community with projects like creating quilts for donations to local nursing homes. 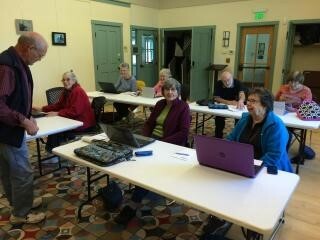 Volunteer opportunities include a graphic artist for logo design and a tai chi leader for a morning class. Keep active and connected with the Erving Senior Center/COA. Girls on the Run of Western MA is a physical activity-based positive youth development program (PA-PYD) that inspires girls in 3rd-8th grade to be joyful, healthy and confident. The Girls on the Run program uses a fun, experience-based curriculum which creatively integrates running. Although the GOTR WMA office is located in Northampton, we serve girls in Hampshire, Hampden, Franklin and Berkshire counties. Teams of girls meet twice a week during a ten-week session (Fall and Spring) to learn about themselves, their teammates and the greater community all while training and working towards completing a celebratory 5k in any form of locomotion that works for them. 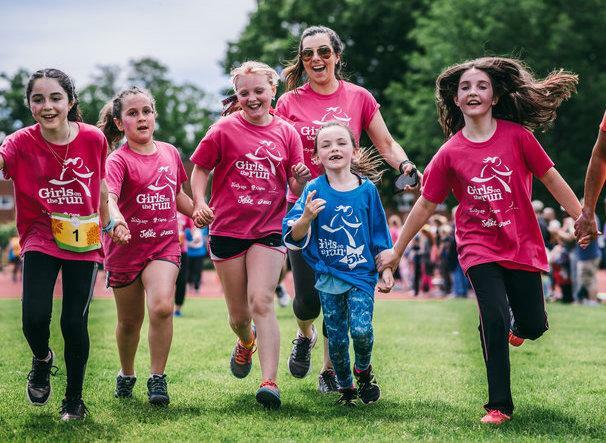 If you love working with children and have experience with group management and/or working in schools there are some rewarding volunteer roles for you at Girls on the Run. We are currently looking for volunteer coaches for our fall season (coaches do not have to be runners), site liaisons, Spring 5k volunteers for our GOTR5K on June 3rd and office support. Volunteer coaches are fully supported and trained throughout the season. Coaches meet with girls twice a week for 90 minutes. Site Liaisons act as ambassadors to sites, helping plan the season and find coaches. Office support would consist of writing thank you notes, inputting data and helping to organize program materials. These are volunteer jobs that are sure to make your star shine! Situated at the Granby/South Hadley line on West State Street is a deceivingly quiet building housing the Granby Senior Center and Council on Aging. Walk through the doors however and you find a hub of activity and a welcoming staff. Support for seniors is provided at the GCOA through donations to the Clothes Closet and Food Pantry, the monthly Brown Bag program, the daily Congregate Meals, the Fuel Fund and medical equipment loans. Transport to appointments and shopping, Outreach visits, SHINE and Veteran information, monthly state representative and senator visits and the monthly newsletter keeps Granby seniors independent and informed. Exercise programs such as the RSVP Healthy Bones and Balance program, hearing and foot care clinics, movies, trips and special events support wellness and social time. Open to everyone, the Granby Senior Center has a close relationship with the schools and is definitely a place to visit again and again. Volunteers assist staff to provide the array of classes and services, and anyone with some time and an interest in supporting the community will be welcomed. The Westhampton Council on Aging has a wide variety of classes and activities that are open to all seniors and depend on volunteer assistance. Chair yoga, drawing and computer classes and walking and hiking groups can accommodate seniors with beginner to advanced skills levels. The monthly breakfast and lunch offer good nutrition choices and social time, while t he transportation program provides rides to seniors who are not able to get to appointments or to shopping. Wellness and safety offerings for foot care and TRIAD gives seniors outreach help and safety information. An annual picnic, monthly movies, cards and games, involvement with the Board or the Friends Group and their sponsored activities give local seniors a role in the COA’s success and a social outlet.